C.1901, Ansonia, La Vera, Royal Bonn porcelain china clock in excellent original condition. 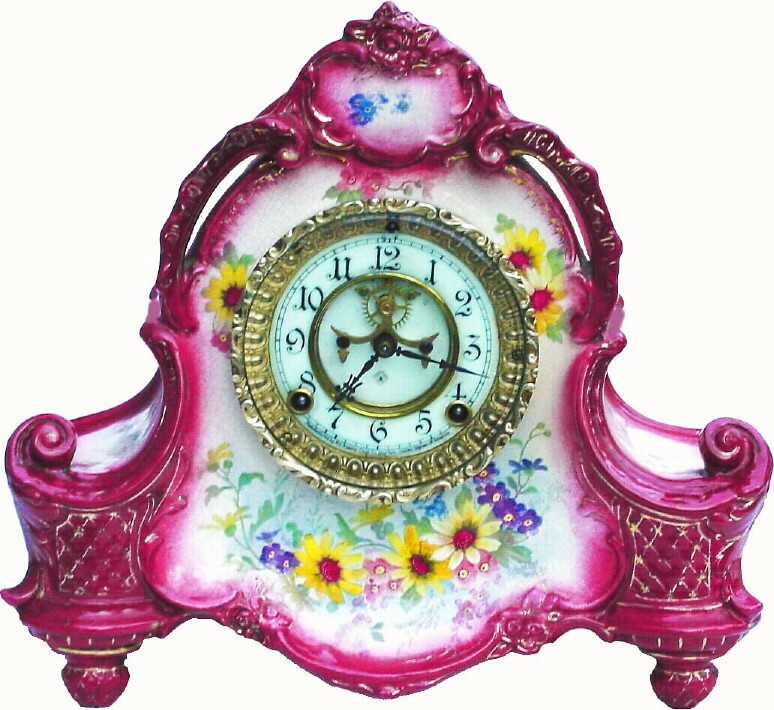 The colors are very striking on this clock, a deep reddish purple around all of the edges and the floral decorations are yellow daisies amongst purple pansies. The top and sides of the case are decorated as well. This is a perforated case, the arches above the dial open for light to pass through. The reliable Ansonia movement has a nice porcelain dial with Arabic numerals plus open escapement in the dial center. No chips nor cracks are evident; with good Bonn Trademark on the rear. Height 12 1/4"